As the name would imply, The Bird near Dupont Circle specializes in chicken, duck and turkey. Non-poultry dishes are available, too: a fried green tomato “club” with smoked bacon; corn-and-lima bean succotash with smoked bacon; and a veggie omelet. If you dine outdoors, take time to stroll through the interior decorated with bird artwork by local artists. 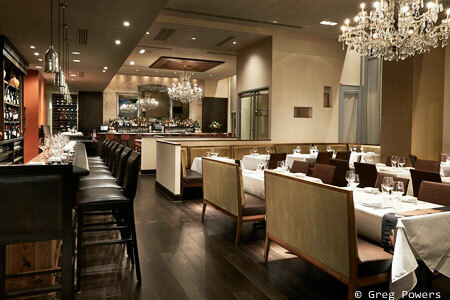 The Bird, 1337 11th St. NW, Washington, DC 20001, 202-518-3609. Celebrate on March 17th with a trip to one of the best St. Patrick's Day restaurants and Irish bars in Washington DC. Put on your finest green attire and order up a plate of corned beef and cabbage. DC chef Mike Isabella of "Top Chef" fame is returning to the kitchen of his DC restaurant, Graffiato by Mike Isabella. Graffiato by Mike Isabella, 707 6th St. NW, Washington, DC 20001, 202-289-3600. Chef Victor Albisu will close Latin American wood-fired grill restaurant Del Campo on March 24, 2018. After renovations, it will be replaced by two Mexican concepts, a new location of Taco Bamba and Poca Madre, a contemporary Mexican fine-dining restaurant. Del Campo, 777 I St. NW, Washington, DC 20001, 202-289-7377.